In recent weeks we have been witnessing how the world of politics is rapidly changing, with the events happening in the US, UK and Europe. For us in Australasia, the most noticeable change came from New Zealand. New Zealand’s Prime Minister Jacinda Ardern is one of the youngest heads of state in the world. She is also a nursing mother. Being unique in so many ways, she has now set an example of how a country leader should act at the time of adversity. Following terrorist attack in Christchurch on the 15th of March 2019, she has demonstrated how we, as human beings, and as a society should respond to aggression: with dignity and respect. The violence cannot be stopped with more violence. 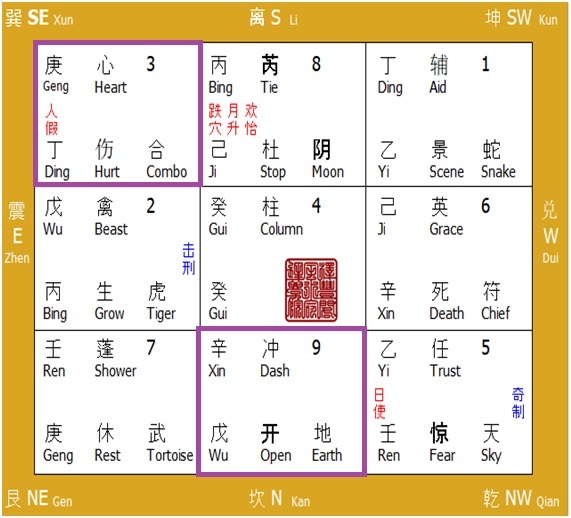 Let us see how her unique qualities as a country leader are reflected in Qi Men Dun Jia Destiny chart. To determine this, we will focus on Destiny and Career palaces. Her Career palace is in 坎Kan and Destiny palace is in 巽Xun. In Qi Men Dun Jia Destiny chart, career is symbolized by 开Open door. It is associated with Qian trigram and metal element. Here it is in Kan palace, which belongs to water element. Hence, the door produces the palace. Productive relationship between the door and the palace is harmonious. So, it is no wonder that Jacinda Ardern has been an activist since the young age, and that her career has been smooth. We can also conclude that she is extremely hard working and her professional temperament is such, that she gets things done. She is determined and efficient. She is also a quick thinker. This can be seen from the star 天冲Dash in Kan palace. Dash derives from ☳ Zhen trigram, representing thunder, Wood element and swift action. It is associated with decisiveness and powerful impact. Based on the star position, we can say that Jacinda is a decision maker. In Kan, Dash is being supported by the Water element of the palace, while being controlled by Open door (乾Qian, Metal element, high authority). We can assume, that she does not get things done as fast as she would like to, given that her decisions must be authorized by the Parliament. Hence, her thought process is being controlled. Another interpretation of Dash combined with Open door is fast growing career. Indeed, Jacinda Ardern has become a prominent politician at young age. 九地 Earth Deity in this palace is also auspicious, revealing that her career progress is supported by powerful mentors. In addition, the purple white star 9 in this palace represents the fame and notoriety. 辛Xin 戊Wu stem combination is productive. The stem in Earth plate produces the stem in Heaven plate. Xin is a symbol of precious metal or a valuable object. Here it is about becoming a leader of the highest standard who is supported by the people. As we can see, her career palace is an exemplary in terms of auspiciousness. In this chart, there is a connection between Career and Destiny Palaces. They are linked through Zhen trigram. In Career palace it is present as Dash, in Destiny palace it is present as purple white star 3, as well as 伤Hurt door. The abundance of wood components in these two palaces, in addition to auspicious 六合Combo Deity, is symbolical of somebody who has a vision and a strong sense of direction. She is a natural leader. 天心 Heart in Destiny palace tells us what kind of a person she is. Heart star is also called Heavenly Doctor, one of the most positive stars, which has healing properties. When found in Destiny palace, it indicates an ability to heal. This is why in an emergency situation Jacinda Ardern acted the way any doctor would, trying to heal, support and protect her people. 庚丁 Geng Ding stems combination is auspicious, as Ding is Noble stem for 庚. 庚 in this case could be seen as a symbol of justice and strength. 丁 in the Earth plate controls 庚, bringing out its best qualities. Inner truth, strength, intuition. True friendship. Mutual respect based on honesty between superior and subordinates. Destiny and Career palaces in Jacinda Arden’s chart show clearly that being a leader is not only a career choice. Being a leader and a healer is her true calling, and we can see what difference it makes. 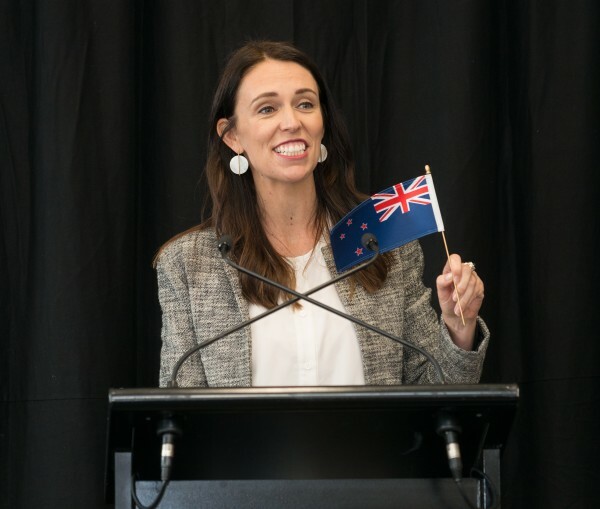 Following the terrorist attack, Jacinda Ardern focused her attention on creating a safer environment in New Zealand. Only days after the attacks, her government announced a ban on military style weapons. This is what the political leadership should be about: grieving with people and making changes to prevent tragedy happening in the future.